What could be better than the “mini characters” of Quelle Histoire, to let our children discover world history? 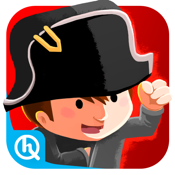 Designed for 6 year olds and above, "Napoleon for Kids" will let them discover Bonaparte’s life. Through 10 illustrated images, children will follow Napoleon from the Egyptian campaign to Waterloo including the coronation at Notre-Dame. Games that are both fun and educational will allow the children to retain the main historical items by collecting focus cards and portraits. Quelle Histoire works with researchers from MoDyCo, a lab from CNRS (France’s national scientific research centre) specialised in the science of suitable language for young audiences. 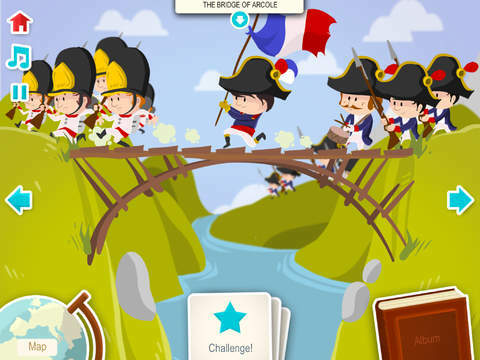 The Quelle Histoire apps are regularly tested by teaching professionals in order to develop tools that are always suitable for the child’s learning process. The texts from this app are written in French by Patricia Crété, editor in chief of the Historia magazine, the number 1 magazine in its section in France. They are then translated into different languages by a team of professionals. 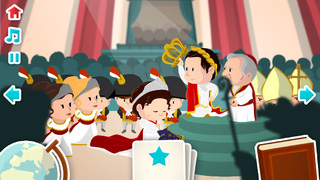 - A fun, educational and innovative approach to history.